I truly enjoy my 2015 GT3. It's a fabulous car and it gets attention wherever I go. If you can ever get your hands on one I would advise that you do so for the pure driving experience. The car is great! Performance. Handling. Interior. Electronics. Looks. Also reliable for what it is. - Cost of vehicle, Cost of service. Picked the Porsche for looks, engineering, handling, acceleration and modern technology. The car is very distinctive, comfortable for a sports car. This is my second Porsche 911 Carrera Cabriolet, and I love it! My first one was also great, but my new one has the 991 body style, the exceptional PDK transmission, and the full leather two-tone interior. My Porsche is the perfect combination of luxury and performance. When I am in the standard mode it drives as comfortably and nicely as my Mercedes sedan, but when I put it into sports mode and click over to PDK paddle shifting, it performs as well as my Ferrari s.
This is one of the best cars I've ever owned. It is definitely the best handling and most fun to drive. 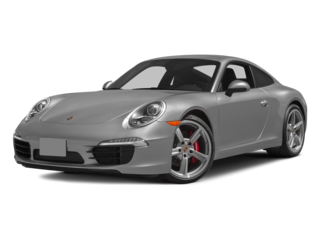 In addition to the sporty aspects people expect of a Porsche 911, it is also an outstanding everyday driver for commuting, daily errands and other trips. Quality is among the world's best. Reliability is also outstanding. Technology is innovative and fully tested. Porsche is always at the cutting edge on technology. this car is the least expensive of the expensive sports cars. in most cases it is superior in many ways to cars costing three times as much. i love the convertable top and the performance of this car. The 911 Turbo S is a unique driving experience. It is truly an atitude adjustment. All elements of accelloration and control are at your fingertips.